$3,469.00 This may be in stock for quick delivery; please call! 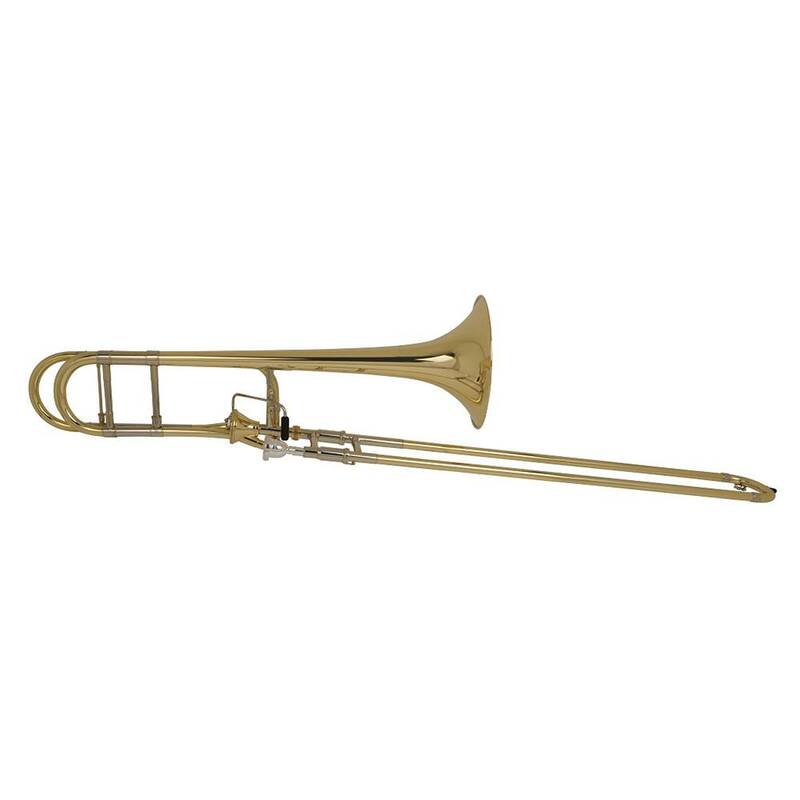 The Bach 42AFW9 is the newest and most exciting development in Bach Stradivarius professional trombones. It features the new "Infinity" axial flow valve. Vincent Bach combined his unique talents as both a musician and an engineer to create brass instruments of unequalled tonal quality. Often copied but never duplicated, Bach Stradivarius instruments today remain the sound choice of artists worldwide. The Bach 42AFW9 is the newest and most exciting development in Bach Stradivarius professional trombones. It features the new "Infinity" axial flow valve. This patented valve design eliminates the metal-to-metal contact found in any other axial flow design through the use of sealed bearings both in the nose and in the back plate. This assures tight tolerances that will resist wear over time. The 8-1/2" one-piece hand-hammered yellow brass Bach 42 bell has defined the symphonic sound for generations. The .547" large bore combined with the patented "Infinity" valve and open wrap F attachment offers a warm sound, great projection, and an efficient and open feel. The chrome plated nickel silver inner handslide tubes provide the ideal surface for smooth and quick handslide action. The clear lacquer finish adds a subtle warmth to the sound overall. The Bach Stradivarius 42AFW9 professional trombone is sold as instrument and mouthpiece only (no case) and is ideal for both symphonic and solo performance. Bach "Stradivarius" - .547" large bore, 8-1/2" one-piece hand-hammered yellow brass bell, open wrap F attachment with the new Infinity axial flow valve, yellow brass outer slide, clear lacquer finish, Bach 6-1/2HA mouthpiece, no case.